With the new sale in place I have been looking at these two boards and was wondering if the VCA are linear or not. I assume the AD/ASR is linear as well but just wanted to confirm. The generation of the EG output is an RC time constant between the internal capacitor and the resistance value of the attack or decay pot, depending on if it's in the attack or decay stage. RC time constants are exponential. The VCA's are linear. Exponential output response is totally dictated by the exponential CV from the EG. a couple other questions that came to mind. In AR mode can I send it just a trigger and it will still run the full AR cycle? The site description mentions gates but usually an AR can deal with either gates or triggers. Also, I saw we can get the diy board without the dip switch so we can panel mount switches to easily switch AR/ASR mode for each eg. Are there any provisions to increase the output to 0-10v or so? Maybe a resistor change or two somewhere? 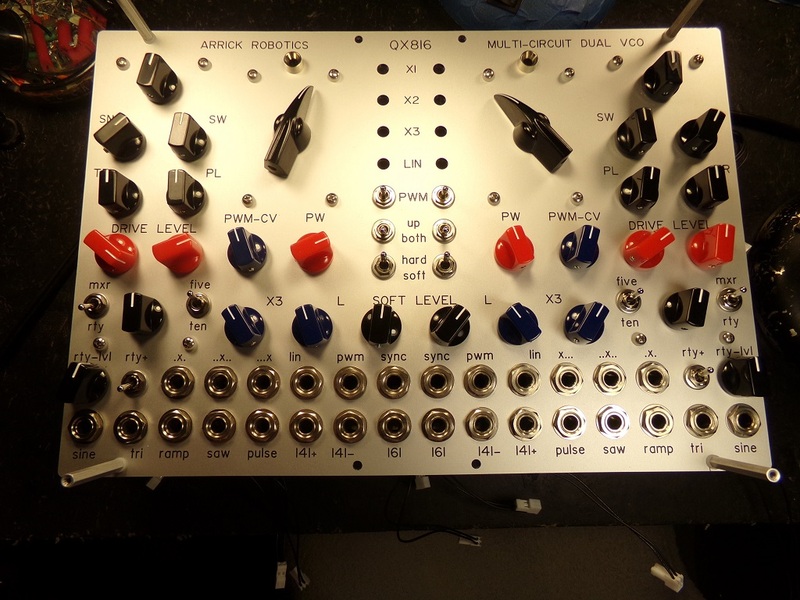 The reason I ask these is that I would love to mod the unit a bit with the switches and add some comparators on the outputs which would feedback into the input for a looping LFO-style mode and provide an end of cycle gate out. The extended output range to 10v would just be a nice add on. another thing I forgot, sorry. the quadVCA module can pass dc as well? Here's the skinny on the QuAD/ASR"
The fix is to just put a 1N914 or 1N4148 or similar small signal diode across the input jack to clamp the input signal to ground whenever the input trigger source goes negative. Rather than redesigning the board, I turned it into a feature. If you're using those switched pots for selecting AD or ASR mode on the Decay pots, why not put the same on the Attack pots to select whether that diode is in or out of the circuit. Here's why: While screwing with it, I had it triggering every time the square wave went positive and it waited until it went positive again with the diode in circuit. But, when I disconnected the diode, it triggered at the normal positive cycle of the square wave AND when the square wave went negative. The point is, you can have a rhythm going at the LFO rate and kick the diode out to essentially double the trigger rate. Adjusting the duty cycle of the LFO square wave provided some real interesting rhythms that can just be punched in at any time without disrupting the basic timing. I got lost playing with it for hours. It was too fun to design it out of the picture. The attack stages are self completing. So, all you need to start the EG channel is a voltage above ~2.5V. The only time a gate is necessary is for the sustain in ASR mode. The best way to make the output 0-10V is to run the output into a 2X amplifier. Since the EG cycles are self completing, I had to incorporate a latch as a 1 bit memory cell and internal levels for switching states are dictated by 4.3V and a 5.1V Zener diodes. It's possible that replacing the 5.1V Zeners with 10.1V Zeners will let the output go to 10V before switching to the decay phase. I don't have any 10.1V Zeners to test the theory. I suppose I could stack two 5.1V in series just to test it out. I'll do a quick look-see on my next build. The quad VCA can be used for DC or AC. No worries on testing the diodes for 10v output. I figured a 2x gain would be the easiest way when I thought more about it. If you have both, you can always use one channel (or more) of the quad VCA set for 2x gain. The attenuator will let you limit the max output if desired. There's an internal 5V applied to the CV input if no CV is plugged in so that is can be used as a simple mixer...or, preamp. But, I'm trying to wrap my head around this thought. What if you have the channel set for 2X gain and split the EG into both the signal and the CV input? I'll have to try it. I wonder if it linearizes the curve with a 2X maximum output. It's fogging my brain trying to mentally visualize the response. Triggering on the positive and negative edge is a great feature George. 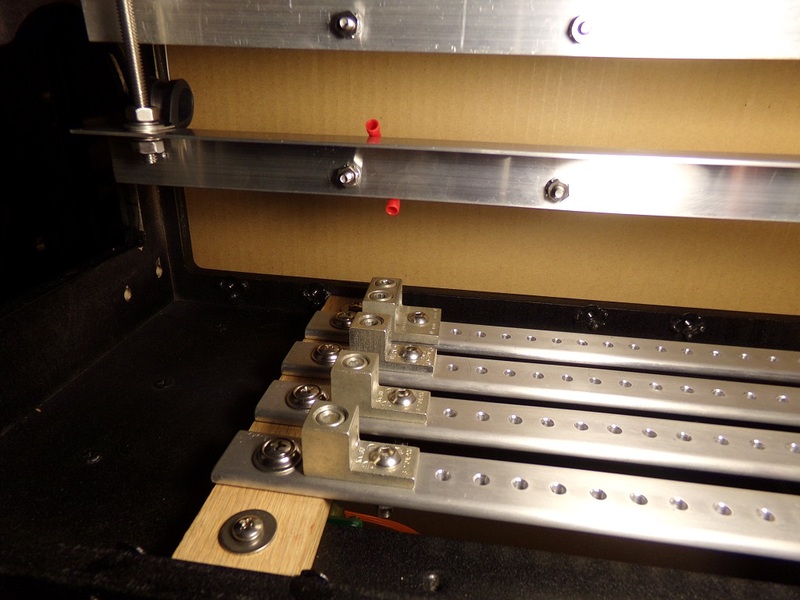 If one so desired you could probably rig up and on-off-on switch with 2 diodes to select triggering on the positive going edge, the negartive going edge or both. 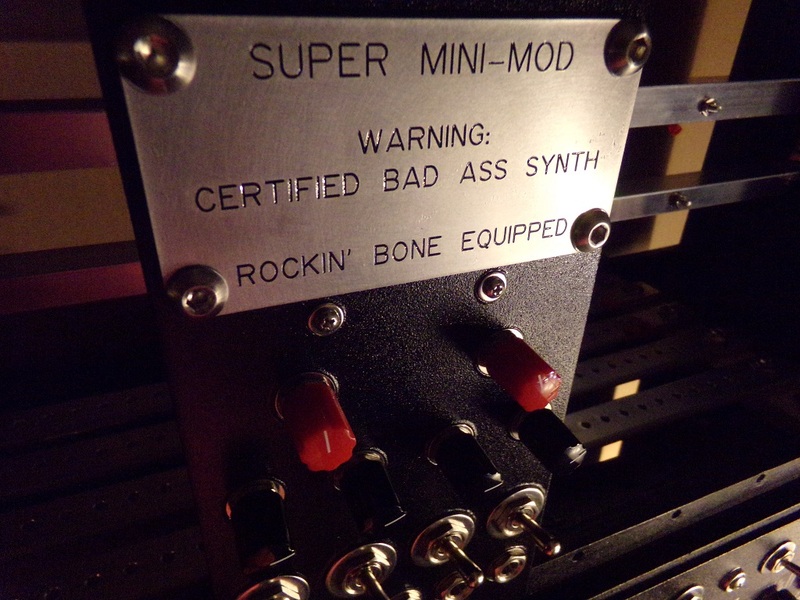 I might have to get me one of these, I always run out of envelope generators. Triggering on the positive and negative edge is a great feature George. Holy poop, that is just awesome. Definitely a feature. Mine are still awaiting assembly, but I'm really looking forward to using these. Hey George, are mine the 7.5V version (ordered back in August)? Easy to tell. V1.0 is the older version. The new version V1.1 started at S/N 0010. Since you have S/N's 0006 and 0008, I'd say you have the original. But, I'll trade them out for the newer ones if you want to mail them back to me. Just to be a total glutton for punishment. I had to add an additional quad op amp and 8 more components to the board to upgrade it. I couldn't fit anything else on there if I tried. I just tested Adam-V's suggestion of using two diodes connected to an on-off-on switch and it works. At first it didn't until I realized that I had soldered a set of diodes on all of the inputs on the bottom of my test board. A heads up to those of you that ordered to try this out. It only triggers on the negative transition of a bipolar square wave if the amplitude is between +/-2.6V and +/-4.0V. Which means, if your LFO is generating a standard +/-5V amplitude square wave, it will only trigger on the positive edge. Dropping the amplitude of the square wave through an attenuator down to between +/- 2.6V and +/- 4.0V will kick it in. The switch gives an option once it's in the "groove" of triggering the AD on the positive edge, the negative edge or both edges of your Square wave/ pulse wave. Or, you could just run a 4.7K and a 10K resistor in series from the jack input to ground and tap the channel input wire to the junction between the two. That would knock it down a third of the input voltage. That would pretty much let you use it in any mode you want. Here's a sheet about this mod. Scrutinize it and see if I caught everything. Don't do the resistor divider attenuation on each channel. It works as long as you choose to not utilize the cascade feature. Otherwise, each channel drops the input voltage of the preceding channel by 1/3rd. By the 3rd channel, it drops below 2.5V if the original input was 5V. I'm probably going to take this mod one step further and add some extra circuitry to condition and isolate the gate inputs. 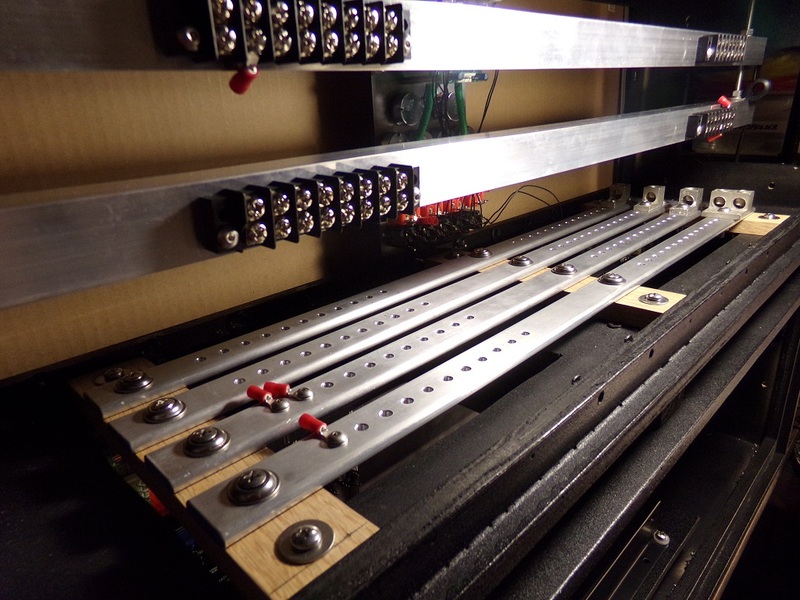 The cascade wiring can be done on the jacks themselves rather than with the wires back to the boards. Hopefully this will mean I can have the four channels operating with individual trigger settings and maintain the cascaded gate input functionality. That will work only if the inputs are buffered post cascade and the clamping is done post buffer per channel. Yep, that's the intention. The cascading will be done up at the jacks and the buffering circuits will be betweeen the jacks and the clamping switches. to build this device, or do you only get the PCB? The webpage for ordering is down until May. Just curious. That's because I'm in the process of retiring. Apparently, according to my wife, that means she believes that means I have more time to do "Honey do's". I'll have everything done off her list by the end of May. But, I don't sell the MST modules. 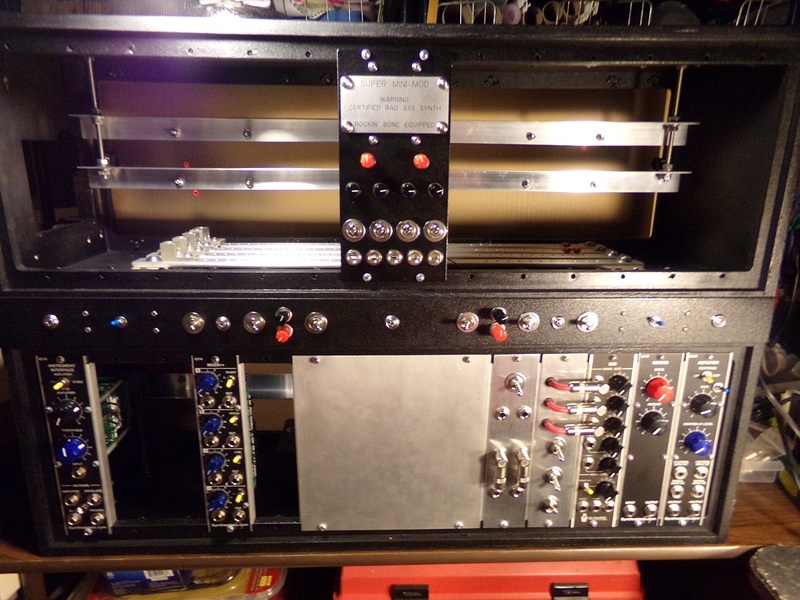 Synthrotek sells them and provide either PCB/Panels, Full kits or, fully built. I just designed them. They licensed the right to manufacture them. So, I don't sell MST modules. NO! Awe, man!! I was just waiting for you to reopen so I could throw money at you for a Quad VCA board and two orders of 16A cables! 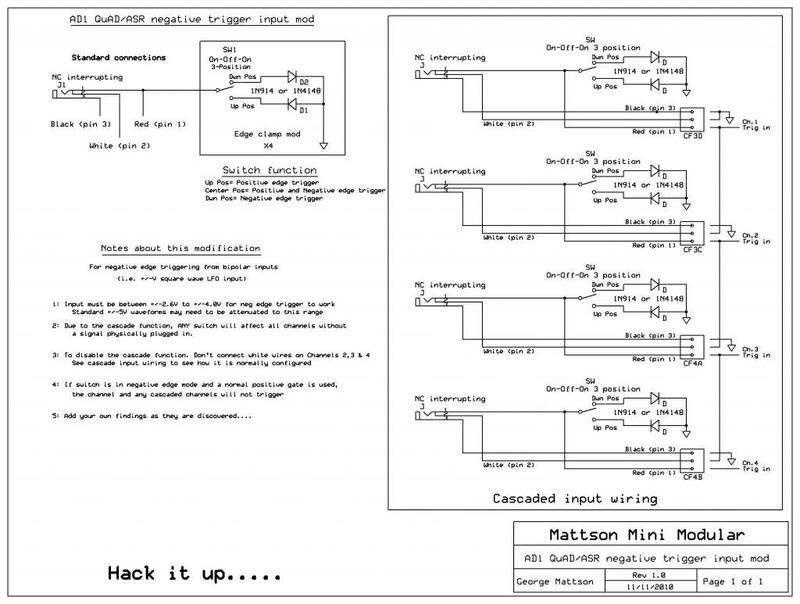 I need those parts for my 5U (15v) project synth, I want to marry the QVCA to the inputs of a Moog CP3 Mixer. You CAN'T retire dude! I only just discovered you! (Thanks go to John L. Rice for the glowing reference). There's a few more things you offer that might move my project synth forward as well, check the link to it in my signature. 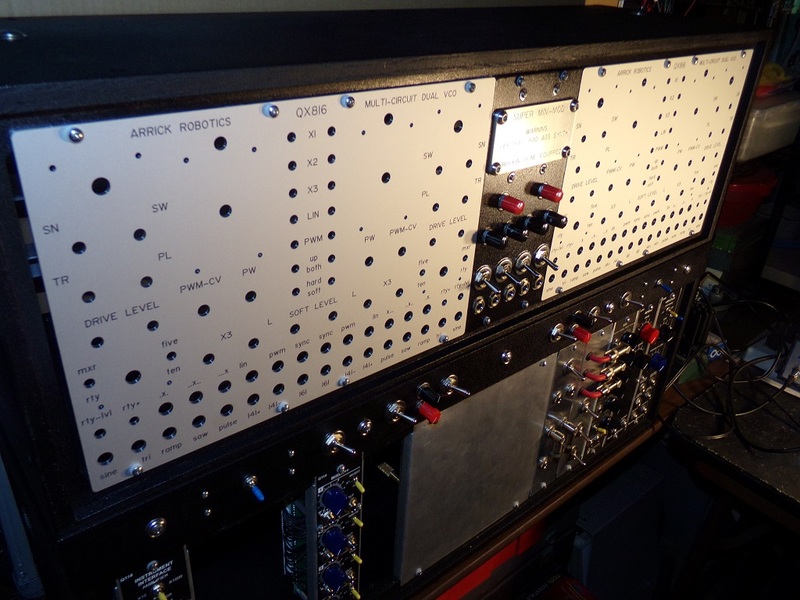 It's a fully normalized Dot Com based 4VCO/2VCF synth, with all new panels for combined multi-circuit modules. This is 2 VCOs, 2 VCO waveform mixers, and 2 rotary switch selected waveform output "aid" modules all wedged into 6 spaces. All Dot Com stuff. So ... NO! ... you cannot retire! ... you just can't! I needs me some Quad VCA action!!! The fate of the entire free world depends on the completion of my project synth, George!! Kidding aside, if you actually are retiring (for good) then all my best wishes to you. I've only recently learned about your contributions to the synthesizer universe (a few weeks ago), and it's very easy to see you've been a pivotal force for good in this form of music making. You're right up there with the R.A. Moogs, the Tom Oberheims, the Dave Smiths of this world. Be well, good sir. My name is Brian. I just moved to another state and put our big, kid raising house on the market. When it sells, My wife and I can buy a smaller place here and get out from under a mortgage and be comfortable. I'll be back soon. Just give me time to get settled and set up. Thank you for the reply, George. Take your time, retirement is an important time in our lives.